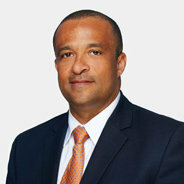 Wayne Scott began work with the Bermuda Casino Gaming Commission on April 3, 2017, the BCGS confirmed, with Mr Scott serving as the Chief Technology Officer. Executive Director Richard Schuetz explained that the advertisement for the Chief Technology Officer position ran starting on October 1, 2016, with a closing date of November 10, and was also placed on Bermuda Job Board, run by the Department of Workforce Development. “There were 25 applications received, including 16 from Bermudians, three from spouses of Bermudians and five were from Non-Bermudians. One was received from a company,” he said. “In keeping with our commitment to create jobs for Bermudians, we choose not to interview any of the Non-Bermudian candidates. “Of the applicants who applied, nine people were invited for interviews with one candidate withdrawing before we met with him or her. We then interviewed the remaining eight and brought three of those candidates back for a second interview. “The review panel for all interviews was composed of Commissioner Judith Hall Bean, myself [Executive Director Richard Schuetz], the Commission’s Chief Financial Officer Julie Grant and a technological advisor from one of the Big Four accounting firms on the Island. All four of us reviewers ranked Mr. Scott as #1 in both rounds of interviews. “It must be said, we have gone out of our way to hire a Bermudian and believe we have found the best candidate in Mr. Scott. Mr Scott previously served in Cabinet, stepping down earlier this year and remaining a backbencher in the House of Assembly. He has a Bachelor of science degree in computer science from Atlantic Union College in Massachusetts, and a Master’s degree in finance and management. You leave education to chase the gambling spotlight? Do both, especially when there’s influence to be gained. PLP way. I thought a former PLP leader opened a betting shop on Court St. correct me if I am wrong…. So he’s a OBA MP and the Chief Technology Officer for the Bermuda Casino Gaming Commission. Is that not a conflict of interest. When the PLP did things like this you called it friends and family plan. Hurry up and call the election after America’s Cup. Lets say August or December Dunky. Are the MPs not allowed a real job?? If he was still in cabinet there could be a potential conflict or if had been instrumental in the gaming legislation like Mark or Sean then sure there would be a conflict of interest. Qualified but not being able to work in your own country – you should say it is great a qualified Bermudian got the job. The OBA is turning out to be just like the PLP when it comes to nepotism. 9 candidates and they choose the MP, that will vote on casino laws? I think he should resign as an MP for the oba/ubp. Things that make you say hmmmmm…. Mr. Scott has held similar positions before so I know that he is more that capable but although the plan is for the commission to be self funded it now is government funded so this is clearly a conflict of interest. It is clear that with a market driven pay rate plus a member of parliament salary he will be better off financially then he was as a fulltime cabinet minister so I understand why he is doing this still I believe that there is a conflict here. He has NO experience with Casinos. He is a member of the Government. This is all wrong in many ways. This means he was granted an exemption given the law they passed on MP’s being conflicted. (The Crockwell amendment!) Of course he will not be abl to vote on anything related to Gaming in the House! Seems to me the OBA don’t know the meaning of the word “conflict” or if they do they just don’t care how it applies to them! Shake my head! Education is very,very important for the forward movement of any community, gambling is not, it is a form of robbery..Many who gamble will rarely give to the poor.